Petlou Has Colossal & Cute Toys For Every Dog! Whether you’ve got a brutish behemoth or a prissy puppy, any dog owner should be able to find a toy that is just right for their best friend. 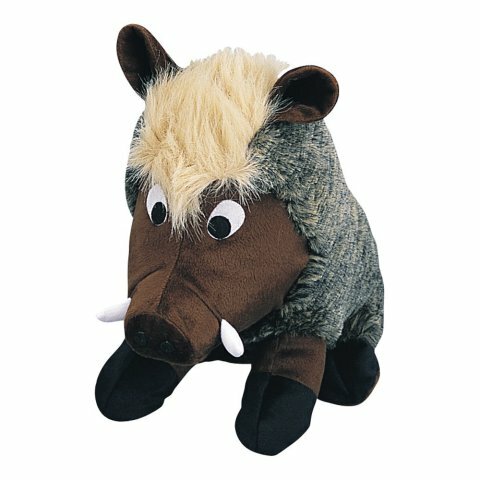 Cute, gigantic, rope, stuffed, flat, squeaky, Petlou’s got it all! I love Scribbles so much, and she’s always there for me, (as I was there to take care of her during the stressful and noisy Independence Day celebrations), but since she’s a Yorkie, toy shopping can be tough. Most pet stores line their shelves with bulky, rubber, rough, hard and thick toys that are just too large and tough on a little Yorkie’s mouth. That’s why I was impressed with the extensive line of plushy designer toys that Petlou has to offer. 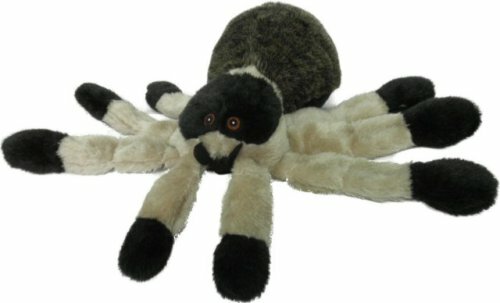 I know that Scribbles would be thrilled with biting and throwing around the Spider by its eight long legs and attacking slightly chunkier animal toys like the Warthog and Spotted Frog. As for larger beasts like ‘old Jessie the golden retriever, Petlou has definitely got them covered with their awesome signature creation: Gorilla Lou. 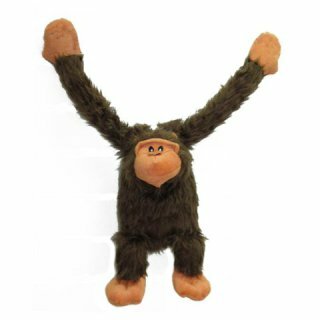 The largest version of Gorilla Lou is a colossal ape of a toy that stands at almost three feet tall, with extra durable double stitching for additional lasting power. Jessie would certainly go bananas over Gorilla Lou’s lanky arms, but what is it with dogs and grabbing any baggy piece of a toy to sling around? They’ve got to slam and toss their new toys around like they’re nuts, since chewing up their stuffed pal isn’t enough punishment, right? If your dog is a giant, shark-jawed hulk like Jessie, a little puppy who is a giant in her own mind as Scribbles is, or somewhere in between, I’m confident that Petlou has a trendy toy for them. Is your dog more into ropey pelicans, or long legged giraffes? Giant sea turtles, or vibrant octopi? Share your dog’s favorite types of toys in the comments below!